Everyone wants their guests to have fun and enjoy their event/function whatever it may be and one sure fire way to do that is to hire some party games from us! We have games to suit everyone from the simple; Giant Jenga, Giant Connect 4 and Bean Bag toss to the slightly more skilled; Giant Checkers and even for the super clever - Giant Chess! All of our games are easy to assemble and are also convenient to transport packaged in their own crate or box. We have a couple of packages available which combine some of the most popular games: The Favourites Package and the Deluxe Package but feel free to ask our friendly hire staff about putting together a package to suit your specific event and guests. Our Outdoor Party Games are versatile, practical and fun, they provide the perfect opportunity to bring your guests together and add another dimension to your event. Engagement Parties - This will really bring your guests together! Team Building Exercises - Games are very effective at creating team spirit and encouraging teamwork and healthy competition as well requiring a certain element of strategy, engagement and thought. Community Events - We provide a number of our games (often in conjunction with some of our other equipment) for Community Youth Festivals and (in particular but not exclusively) for Children’s events. Product Launches, Expos and Openings - they provide the perfect, physical interaction and engagement opportunity with potential customers and clients. All other parties and gatherings; whatever the occasion; birthday, anniversary, Christmas, Christmas in July or New Year’s party, or any other family or friends get together, these games are the ultimate icebreaker and interractive activity in the backyard, round the pool, in the park or any other space. Other items which are often hired in conjunction with our outdoor games are glow furniture, wine barrel range, dance floors, sound & lighting, red carpets & stanchion and rope sets and our rustic ranges including blackboards, benches and bar tables and stools. Tell us about your event and we’ll be happy to put together some ideas and a quote tailored to you. With chess pieces as tall as 40cm this Giant Chess board is sure to be a hit at your next event. This chess set comes with 16 black pieces, 16 white pieces as well as a nylon mat which makes the board. Each board measures 120cm high x 60cm wide x 30cm high. Perfect add-on for a small wedding, engagement party, market or festival! Perfect add-on for a wedding, engagement party, market or festival! Plenty of options for the kids and even the adults! These beautifully wooden crafted traditional skittles measure 23 cm in height. Knock the skittles down with 3 hand made wooden skittle balls. Giant naughts and crosses outdoor game with 5 naughts and 5 crosses. Starting dimensions: 82cm high and 21cm wide. This game consists of 54 sanded blocks. Weight: 18kg. WARNING: Please use with care as falling blocks may cause injury. Recommended for use on grass or carpet. 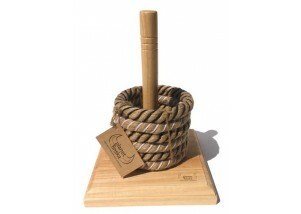 This rope quoits set comes with 6 chunky rope quoits. The base measures 24cm x 24cm while the diameter of the rope quoits is 16cm. The peg is 28cm high and 4cm wide. This set features 8 big and beautiful full-sized (100mm) balls along with a 50mm white polished resin pallino. This game is suitable for 2 to 4 players and needs to be played on grass. Finska set featuring carry crate, 12 numbered pins, one finska throwing log and rules and scorecard sheet. Giant Connect 4 for hire. Measuring 120cm high and 123cm wide. 42 red and yellow disks are included. A giant version of the classic checkers game. This games comes with a 3m x 3m mat, 12 black checkers and 12 white checkers. The checkers have a diameter of 25cm and a height of 9cm.